12.6" x 16.7" stitched on 18 count. Grand Duchess Elena Pavlovna of Russia cross stitch pattern... 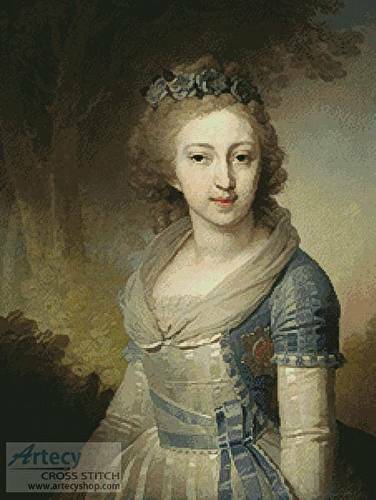 This counted cross stitch pattern of Grand Duchess Elena Pavlovna of Russia, later Duchess of Mecklenburg-Schwerin was created from a painting by Vladimir Borovikovsky. Only full cross stitches are used in this pattern.